MC Office Furniture provides New and Used office furniture of all kinds to businesses and commercial clients throughout the United States. With offices in Manhattan and warehouse facilities in neighboring New Jersey, they have become a preeminent supplier and are well-known for their design and consulting services. 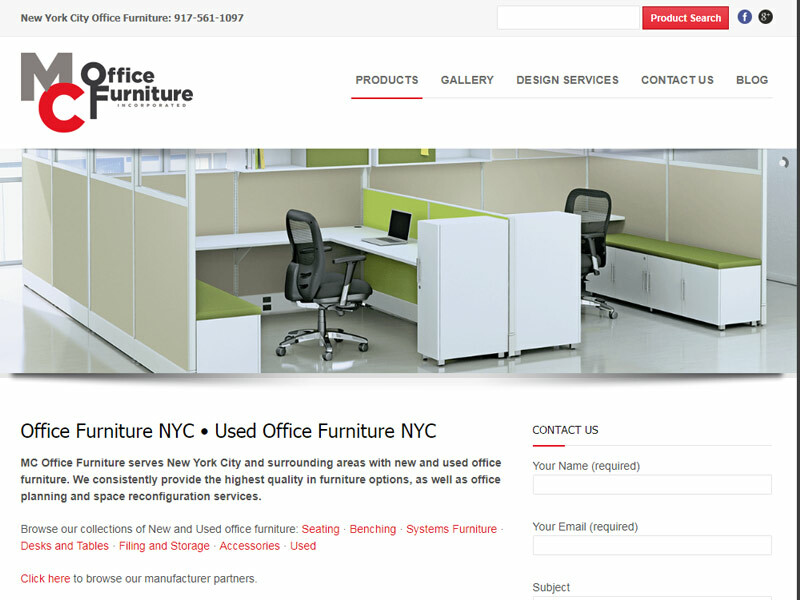 MC Office Furniture was looking to improve their online presence and Google search performance, while creating a new corporate website that could serve as a product brochure as well. Their new Internet Presence website allows them to show product and installation photos on an iPad during visits with prospective clients, and gives them a platform for sharing industry news and trends.